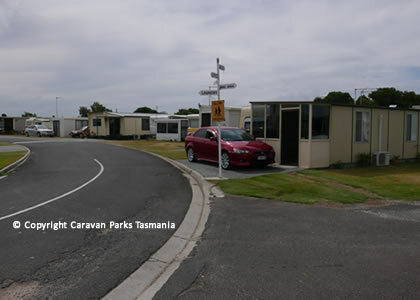 Apex Caravan Park Picnic Point is located at Ulverstone on the north west coast of Tasmania. 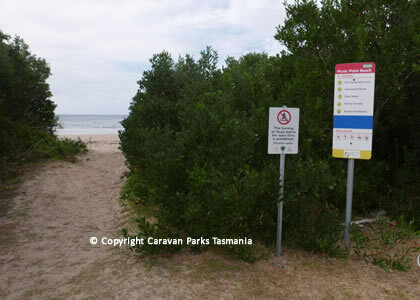 The park is right near Picnic Point Beach. 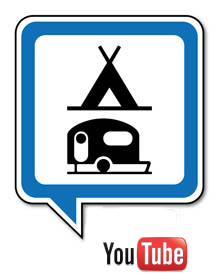 It has 18 camp sites and 43 powered sites. 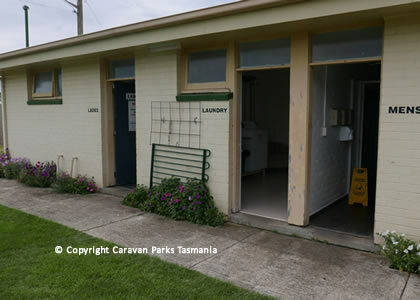 It is ideally located to explore the surrounding region; first visit the Ulverstone History Museum where you can step back in time and walk through a display of artefacts, tools, and photographs depicting the life of Tasmania's early pioneers. 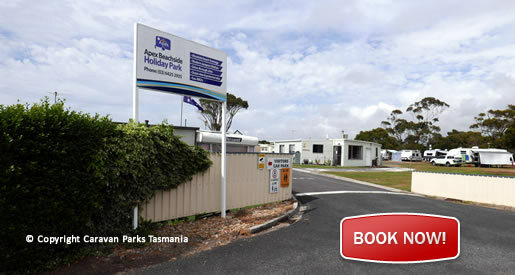 The park is just 20 minutes from Devonport and the Spirit of Tasmania, and withing walking distance to local shops and a short drive to the main street of Ulverstone. 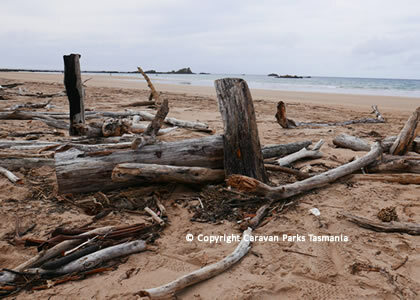 Take a day trip inland to to Sheffield - the town of murals - and the wilderness of Cradle Mountain. Travel east from Ulverstone along the coast to Devonport, Latrobe, Deloraine, and Launceston and along the way do some chocolate, cheese, and honey tasting. Feast on raspberries at Christmas Hills raspberry farm, and visit a Tasmanian Devil at Trowunna Wildlife Park. 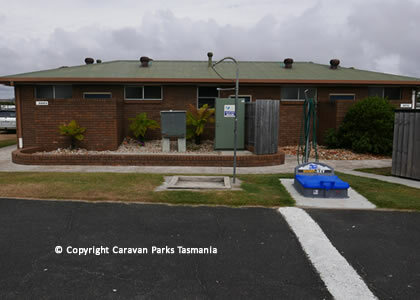 Travel west of Ulverstone to Penguin, Burnie, Wynyard and Stanley. At Burnie you can do some malt whisky tasting and visit the Creative Paper Mill who make handmade paper. 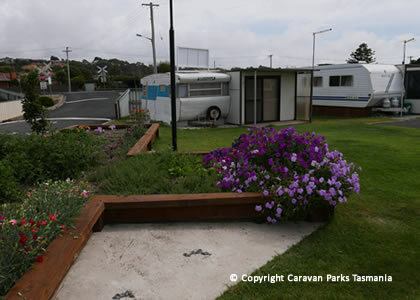 Historic Stanley has the well known landmark “The Nut” which you can either climb or take the chairlift to the top to take in the magnificent views over Bass Strait and the surrounding farmlands. Ulverstone is a coastal fishing and tourist town on the north-west coast of Tasmania, Australia. 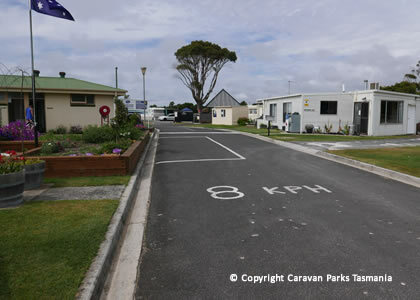 It is situated at the mouth of the Leven River, on Bass Strait and is on the Bass Highway, 21 kilometres west of Devonport and 12 kilometres east of Penguin. 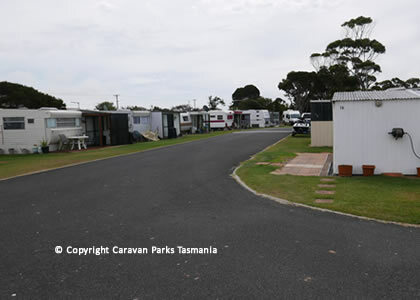 Ulverstone has a population of less than 10,000 people making it the state's largest town as Kingston is a suburb of Hobart. The town is a part of the Central Coast Council.